21 times the German youth and junior uw-rugby-players met to find out their national champions in olderclass U 15, U 18 and U 21. This year, the first time the championships was held as an Open Championship. 3 teams from Turkey – one team in all olderclasses – and 1 team from Czech Republic – U 18 – came to Germany to participate on the Open Championships. On this way they have the possibility to have competition in their olderclass on a high level. 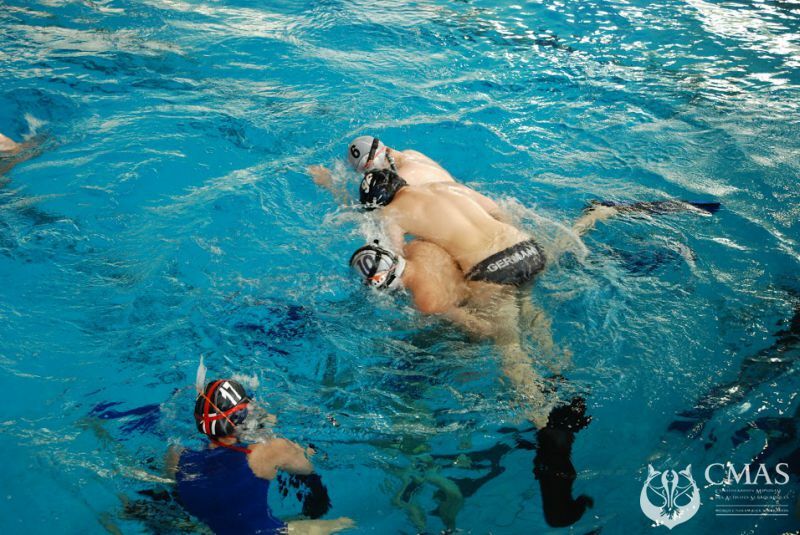 The participation of teams from Turkey and Czech Republic was an enrichment of the championships. This is an important step in the development of the UW-Rugby. In this way, more players may be interested in our sport. These young players are the future of our sport. The diving division of TC’69 Sterkrade e.V. 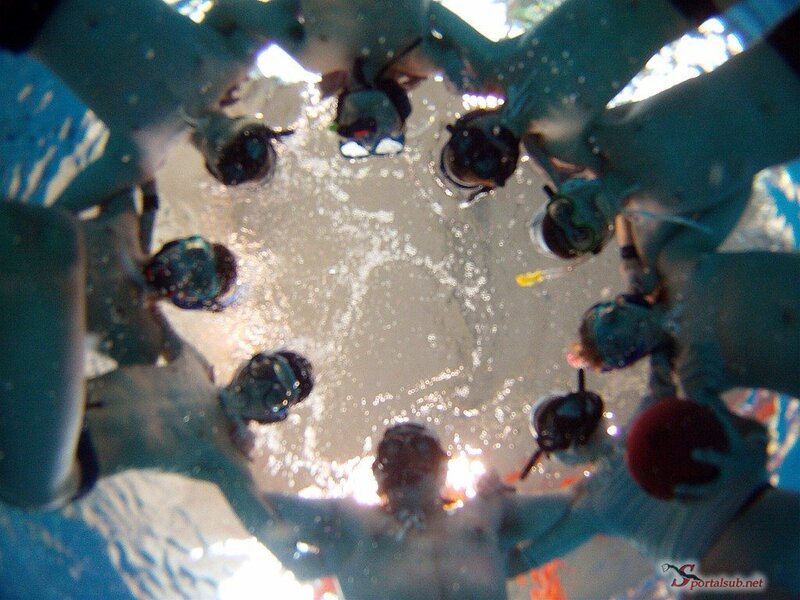 is the host of the tournament organized by the German Association of Sports Divers e.V. (VDST). This Championship is on CMAS International Calendar for 2016. 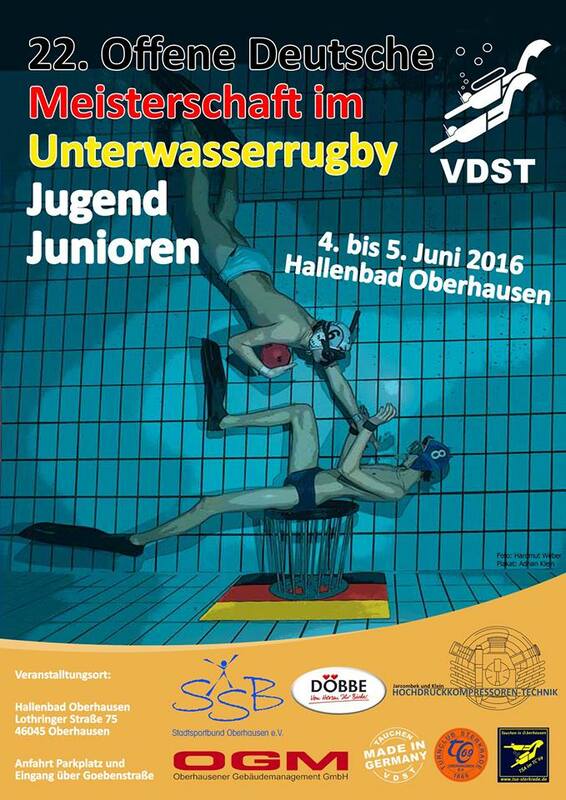 The 22th Open German Championship for Youth and Juniors will be held in the age groups juniors (under 21 years), youth A (under 18 years) and youth B (under 15 years). Reference date for the classification of age group is the 31.12.2016. National Association teams or national teams are not allowed. All players for a club team or a start community (SC), a combination of players from different clubs, are registered by one responsible person. German Championship for Youth / Juniors Participation is only allowed for club teams and start communities (SC) if their clubs and their female and male players belongs to the VDST. International Championship for Youth / Juniors Foreign clubs and their female and male players are entitled to participate if their national federation is a member of CMAS. Teams from Germany, Czech Republic and Turkey.